We’ve been very lucky with our high street at Cleveleys in that it’s still varied and still thriving, but the retail landscape is changing all over the UK – the recession and online shopping are pinching at retailers who are all competing in an overcrowded market, and as ‘quarter day’ arrives and rents are due, each time there seems to be a cull on the high street. This leads to empty or boarded up shops, and in many high streets the charity shops take advantage and come to town. Their numbers are criticised, and there have been grumbles about them in Cleveleys. But are they really such a bad thing?  At Visit Cleveleys we’ve been talking to a couple of them to find out more. 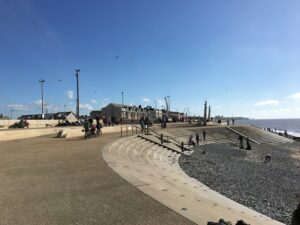 There are a few charity shops at Cleveleys, and every time another one opens there’s a grumble from the public, but are they really a bad thing? There are many positives about them – although yes, some are much better than others. I regularly go in the Cancer Research shop – I buy Christmas cards and am a sucker for the cotton bags, buying almost all of them as they come out. I’ve had loads of odds and ends from there and find it a pleasant shop to shop in. Likewise, when I went in the Trinity shop for the first time I thought it felt like a chain store, never mind a second hand shop! So let’s start with the consumer. In hard times, they provide somewhere to find more affordable things than you would otherwise buy from new. Apparently shoppers complain about the price of things, expecting them for almost free. Lisa, the new manager at the new Trinity Hospice shop has an answer for that – she says ‘We have an obligation to the donor to get a reasonable return for their generosity’. How very true. The flip side of the stock issue is that it also recycles goods which otherwise might end up in landfill – another very good point and subject of a whole other page. Cancer Research is stocked entirely from the goodwill donations to the shop from the generosity of local people in Cleveleys. That’s some achievement if you’ve ever been in, because it’s always full and they don’t have goods from van collections. 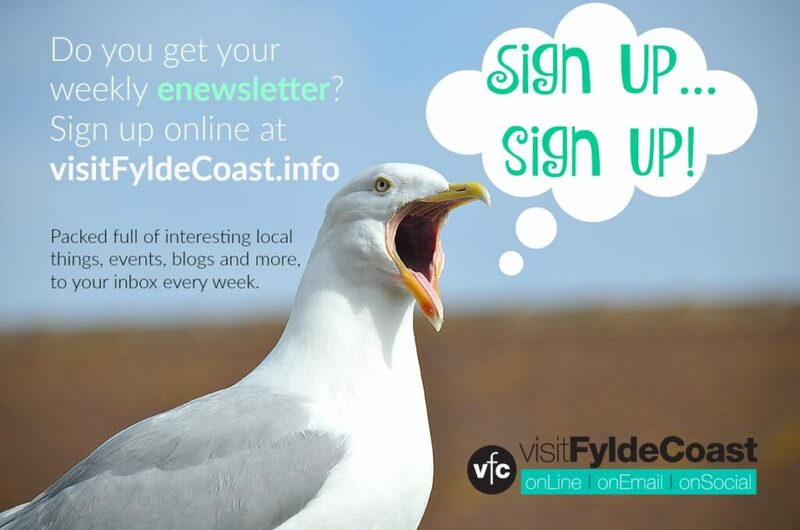 It’s the same story at Trinity – as a Fylde Coast charity with 11 shops across the coast, they also rely on local donations. While we were there, the volunteer drivers turned up with an office collection from AXA at Lytham. (I’d have liked to look in the Hobbs bag!). Lisa will have a sort through this stuff and then let the company know how much value there is in there – which is all useful for their PR machine! 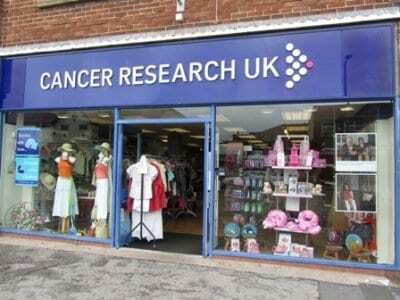 Cancer Research offer a collection service if you get in touch with the shop. In time when the Trinity shop is settled, they aim to too. Then there is the charity and goodwill side of it. Generally people tend to associate with a subject that they have experience of, which colours where their donations go and where volunteers aim for. For example if a family member has been treated at Trinity Hospice, people will volunteer for the shop because it’s a way of paying back the kindness and support that they have been shown – that’s the experience of both our Cancer charity shops in Cleveleys, with 60 volunteers regularly going through the doors at Cancer Research and already 32 at Trinity. Plus, of course, it’s a productive use of time for people who might otherwise be isolated and alone. Val, the manager at Cancer Research, was telling me about Tom Pearce, who at 80 is not just her oldest volunteer, but along with six others, has been at the shop for the full 23 years since it opened. He carries out the vital role of checking the finances, and won the long service ‘Flame of Hope Honorary Fellowship’ award from CRUK. Volunteering can also be a route into full time employment, which is how Lisa ended up running the Trinity shop. She told us, ‘looking after four kids was driving me mad so I went out doing voluntary work in a charity shop, got a paid position, and then moved into management’. And finally, the whole point of the exercise, which is to raise funds for the charity itself. Maybe the shops are at fault for not making it clear where the funds go to – but certainly these two are shining examples of your money being used locally. Cancer Research funds are used within a 60 mile radius of Cleveleys, and go to Christies, Manchester University, Newcastle and Lancaster, to be used to fund vital research. Research which has found out all the things in recent decades that has helped thousands of people to survive what would once have been a death sentence. At Trinity, the monies raised are used to fund the Trinity adult hospice, Brians House childrens hospice, and the Lyndon Centre, which offers counselling not just to adults bereaved by cancer, but also to children across the Fylde, however their own tragedy struck. We’ve focussed on just two of the shops at Cleveleys,covering just two of the charities that you could think of, but exactly the same theory could be applied across the board. So, in the face of the full story, are charity shops really such a bad thing? And consider this, there must be a demand for them and stuff must sell, or they wouldn’t exist!